"Ivor Baker Trophies not only provide great workmanship at fantastic prices, they offer a level of professional and personal service that is rare to find. Maybe it is the family nature of the business, but whatever it is, they are a joy to do business with." 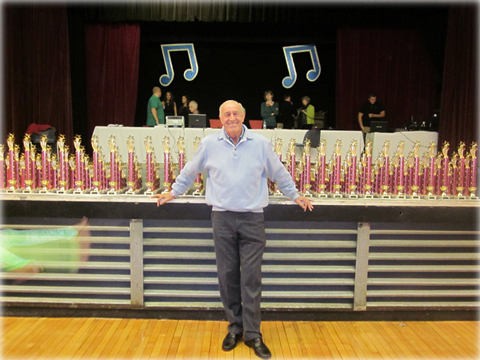 "We are a Surrey/Sussex based dance school and for many years we have used Ivor Baker Awards for our awards evenings. Their trophies have always been outstanding and very well finished! The team are fantastic, always there to help and I would highly recommend them." "Excellent Transaction. Great Quality Trophy Centre Discs. Fast Delivery." "Very very happy great communication, will defo deal with again." "Once again another faultless transaction excellent." "Fantastic Service - So Quick. Lovely little trophies. Highly recommended." "Brilliant. Two very happy children. Great quality and value for money!" "Excellent speedy service. fantastic quality. definately use this company again." "Couldnt be happier great all round Would shop here again thanks." "Looks fantastic can't wait to see my little girls face she will love."